As men are observing and becoming more aware of the benefits of nose surgery to optimize their appearance they are switching toward ‘The male nose job.’ Today, the nose job is not only restricted to women, but men are also choosing it to enhance their looks. However, as the anatomy of both men and women are not same and so is the process of carrying out the nose jobs! The breathing appendage of both men and women look same but as you can see the nose bridge, nose tip and the nostril base, you may see a slight difference. 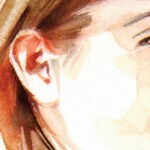 The nuances make up and the minute details of both the gender noses are quite different from each other. The first difference you can notice is the nose width. 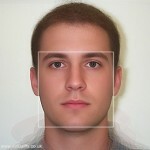 In general as compared to women’s thinner and sensitive nose, men has wider nose. 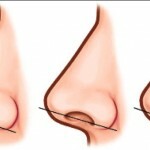 Also men’s noses go on a straight line and have sharp edges, whereas women’s noses have curvier slope. Apart from the overall appearance of shape and look of men’s noses, they have more strong bone, thicker skin and cartilage. Another interesting fact is that as compared to women, men noses are 10% larger because they need more oxygen than women. With these interesting fact men have more lean muscles that needs oxygen to maintain the size and to grow. Many men go through the process of Rhinoplasty for aesthetic, corrective and cosmetic purposes. Especially, those who got disfigured nose due to some accident or while doing any physical activity or playing sports. 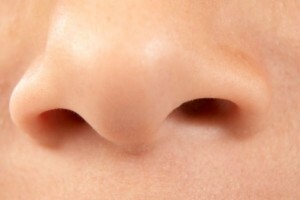 Some get it to correct problems of breathing due to deviated septum. Most of the men are scared of this surgical procedure because they think that their nose become more feminine. When executing the nose job, man many wish to get a proper masculine nose that is high in appearance, strong and straight. When performing male nose job the new nose must make an angle of 130 degree that starts nearby to the forehead. This will give a longer appearance to the nose and the straight bridge makes it look more masculine. The main motive of nose job is to enhance the look and make it appear more natural. 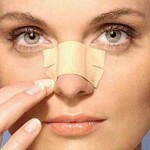 When seeking primary versus revision rhinoplasty, one should know about the detail of the procedure. When an Asian man is seeking the procedure, they tend of have a bridge of nose, which is a rounder nose tip and less prominent. Generally, Asian men look for the nose job to make Nose Bridge more prominent or less prominent. A nose job is certainly a complicated surgical procedure that plays a vital role in changing the overall look of a person. Today, with medical advancement, these surgeries are very effective and male nose job has become a trend setter.